Philadelphia is the host city for the 2017 NFL draft. 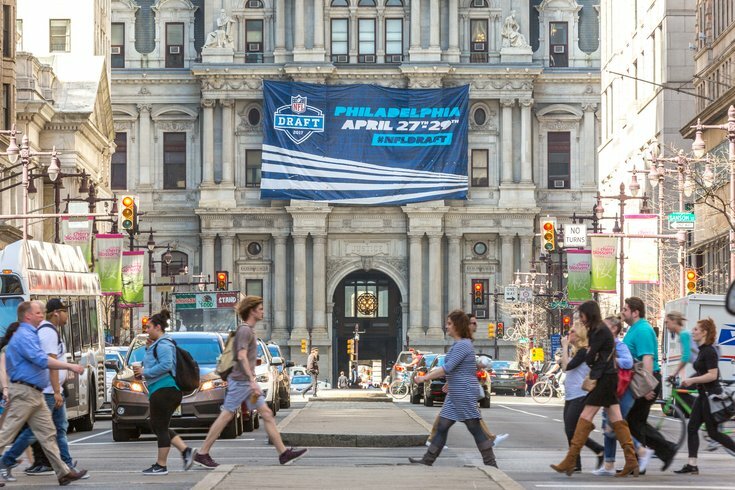 The draft and the NFL Draft Experience will take place in front of the Philadelphia Museum of Art and on the Benjamin Franklin Parkway from April 27-29. If you haven't read Inquirer columnist Bob Ford's Tuesday morning piece on the NFL draft being held in Philly and how it will mean the national media digging up old and lazy clichés about Philly sports fans, you ought to give it a look. Now, Ford is prepping us for outsiders needling us with the stories and generalizations we've heard a thousand times before. But certainly we don't have to worry about those among us doing the same, right? Wrong! Tierney, a Philly-based ad agency, has put together a website called "Welcome Kinda," a ham-handed attempt at greeting visiting football fans by regurgitating the very aforementioned clichés and stereotypes — real or imagined. When you heard the draft was being held in Philadelphia, we imagine there was some trepidation. But we promise to be on our best behavior and not throw snowballs, because we are turning over a new leaf. And also it is late April. The site goes on to "apologize" to a number of cities and fan bases for the boorish behavior of Philadelphians, which includes saying sorry to "the entire city of Dallas" and for "cheering every time your team trainer came on the field." Written in the form of a letter, the site signs these apologies on behalf of "the fans of Philadelphia." Considering that this little gimmick was clearly put together by a group of people who combined haven't watched an entire Eagles, Sixers, Phillies or Flyers game in their lives, let me clarify to visiting fans that we don't f---ing apologize. And to Tierney: Do better next time.